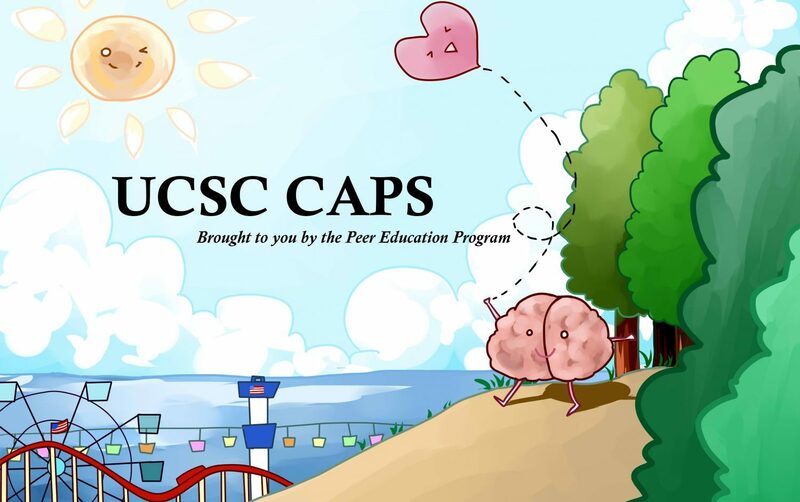 CAPS staff provides the UCSC community with a wide rage of mental health services, including short-term individual and couples counseling, group counseling, crisis assessment and intervention, and referral services. CAPS is staffed by Psychiatrists, Psychologists, Registered Nurses, Clinical Social Workers, Marriage & Family Counselors, Doctoral Interns and Post –Doctoral Fellows. We also provide preventive outreach and consultation services to the University community. Counseling services are confidential and free of charge to all UCSC Students. Please note: This blog is not monitored for incoming messages. To contact CAPS, please call our main office at (831) 459-2628. Our office is open M-F, 8am-5pm. Evenings, weekends, and holidays you can reach an on-duty counselor for urgent concerns at 459-2628. For more information, please visit our website at caps.ucsc.edu.